After working all day, choosing an easy dinner for my family is #1 on my list! That’s when I reach for PERDUE® SIMPLY SMART® Gluten Free Breaded Chicken Breast Tenders (18 oz.) I love that they are Organic and Gluten Free. Perdue raises their chickens without any antibiotics. Just pop them in the toaster oven and you have the makings for a delicious meal. 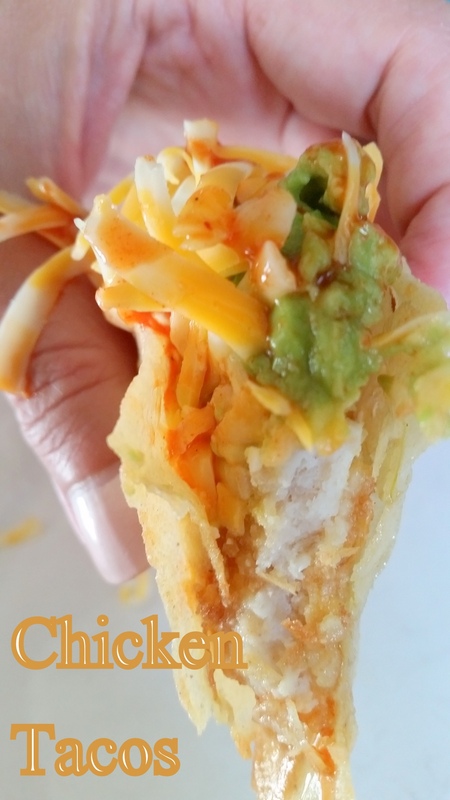 You can have dinner ready in under 15 minutes with these Easy Chicken Tacos! This is my farm to family meal. Wholesome and delicious! 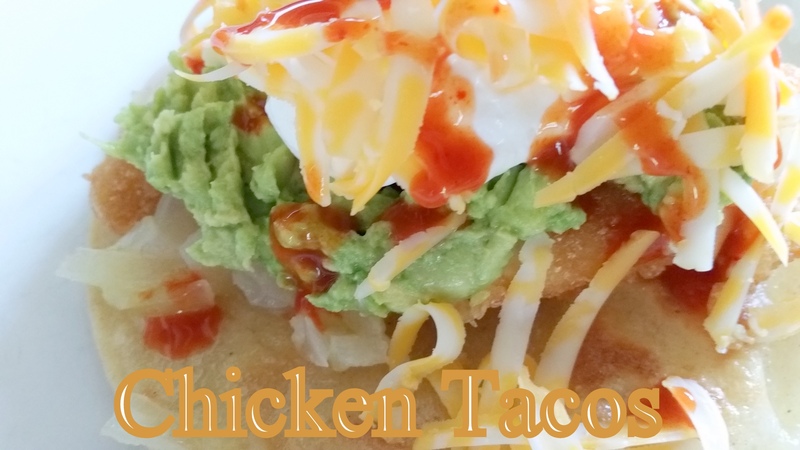 I created these Easy Chicken Tacos at the last minute. I had a couple packages of tortillas in the refrigerator, I was planning on making enchiladas on a different date and totally forgot that they were in the fridge. One of my family’s favorite meal is tacos! These were a big hit. My kids ate two each and hubs had three. When we have taco night, I place all of the taco ingredients each in a small bowl so that my kids can make their own tacos. It makes it fun for them and everyone takes their favorite ingredients. It’s a win-win! 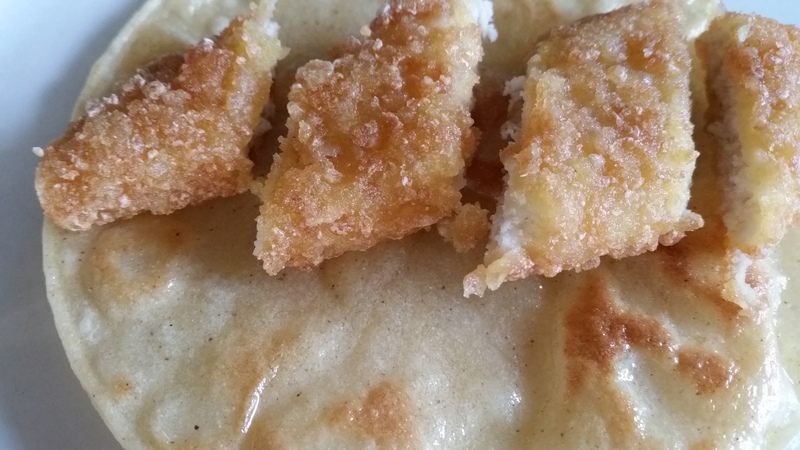 Tonight’s Chicken Tacos consisted of White Corn Tortillas, PERDUE® SIMPLY SMART® Gluten Free Breaded Chicken Breast Tenders (18 oz.) , Homemade Guacamole, Sauteed Onions, Sour Cream, Grated Cheddar Cheese, and Cholula Sauce. Perfect for Taco Tuesday! Saute a tortilla in a sauce pan with a Tbsp of Olive Oil over medium heat until golden brown. Flip tortilla, let other side brown. Place tortillas on Paper Towels to absorb oil. Heat chicken breast in toaster oven, oven or microwave until warm. 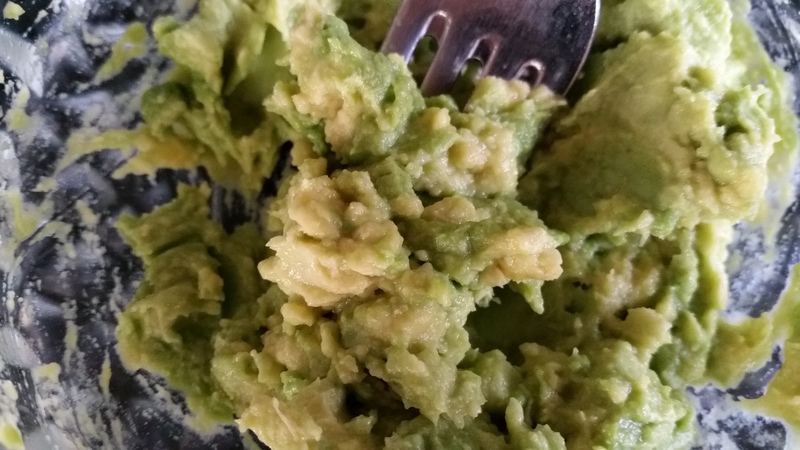 In a bowl, mash avocado with a fork, add a couple shakes of garlic powder and a squeeze of lemon. Mix well. Cut chicken into chunks, place on tortilla, add guacamole, sour cream, cheese and sauce! Serve while warm! Try not to put the taco back down on the plate after you have taken a bite so that the ingredients stay in the taco shell! 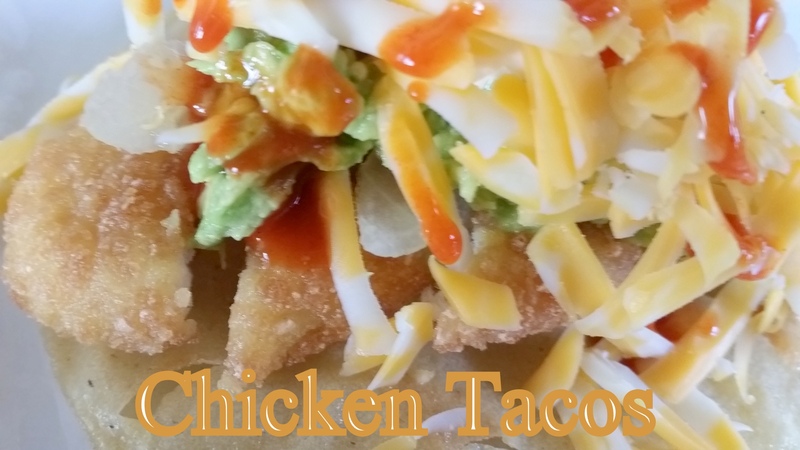 An easy and super delicious quick chicken taco filled with Perdue Chicken Breast, guacamole, cheese, sour cream and hot sauce. Heat Chicken breasts in oven, or toaster oven per directions on package. In a sauce pan, add 1 Tbsp Olive Oil on medium heat. Add tortilla, when golden brown, flip over, brown on other side. Place tortilla on paper towel to absorb oil. Cut up chicken into chunks. Place on tortilla. This post is sponsored by Perdue Chicken, I have received coupons. All opinions and thoughts are my own as always. I stopped by for tacos. You always make my day. Sharing this recipe.